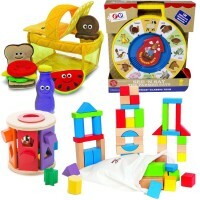 Melissa & Doug's Let's Play House set of condiments sounds and looks like the real thing! Any good kitchen should have a supply of condiments. 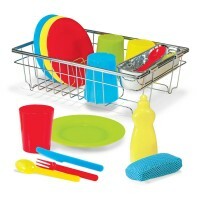 Equip your child's play kitchen with this realistic set of toy condiments by Melissa & Doug. 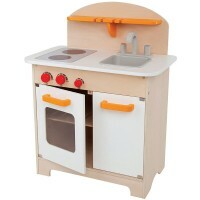 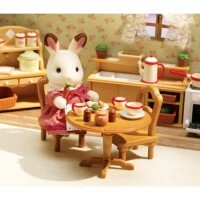 Play Kitchen 6 pc Toy Condiment Set comes complete with everything your little chef needs to cook, bake, serve and play house for hours of imaginative fun. 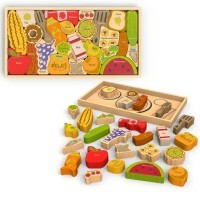 This adorable play food set is made with Melissa & Doug's famous quality, sounds and looks right like diner condiments set. 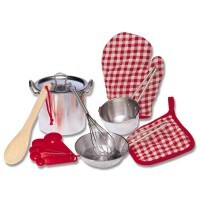 Kids will love hearing the pouring and shaking sounds and seeing some fun squirting action as they play. 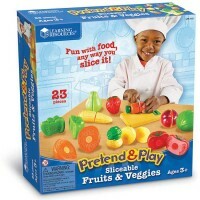 This toy food set from Educational Toys Planet comes neatly packed in a metal condiment caddy. 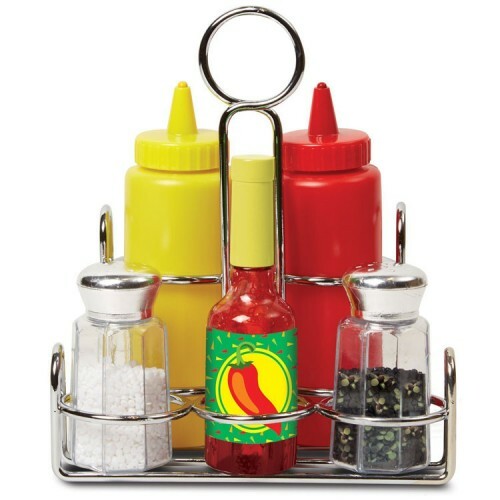 Girls and boys will cook with their favorite condiments: mustard, ketchup, hot sauce, salt and pepper. 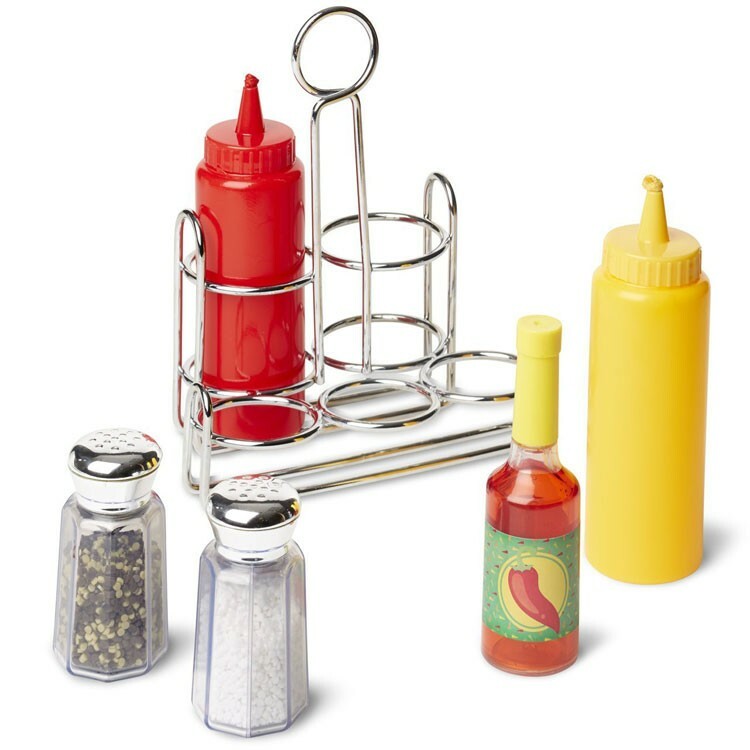 Salt and pepper come in 2 like-real shakers. 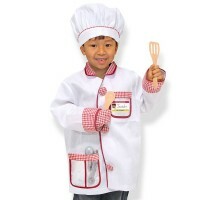 As your play chef presses a ketchup or mustard containers the yellow and red strings squirt out. 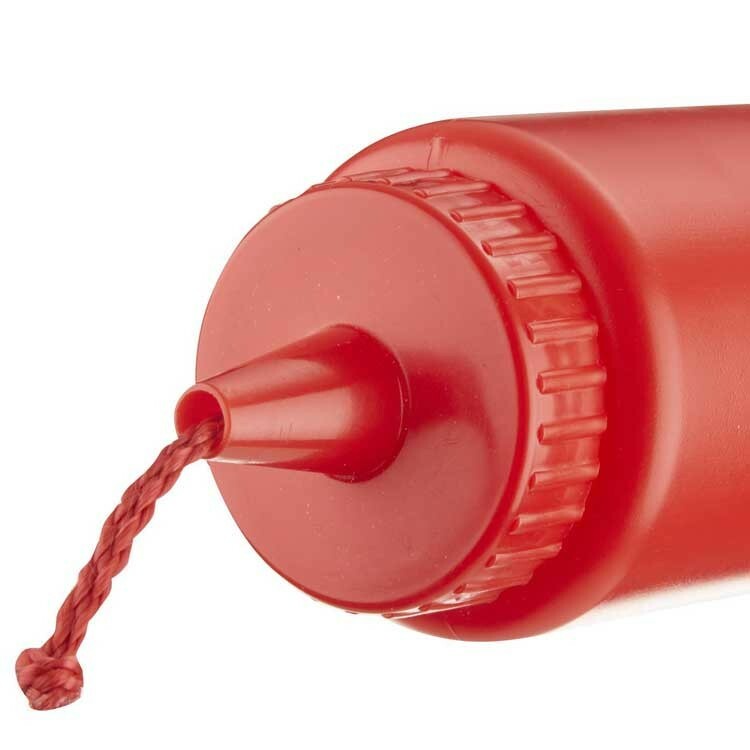 Hot sauce bottle makes pouring sound when you add the ingredient to your toy food. 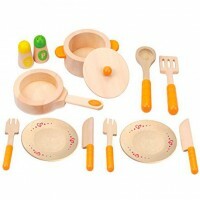 This terrific Condiment Set allows your preschooler to turn a play kitchen into pretend kitchen stadium, play restaurant, or outdoor cafe. 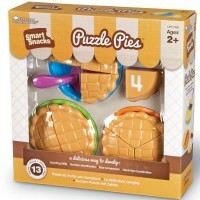 Dimensions of package 6.5" x 4.7" x 7.5"
Write your own review of Play Kitchen 6 pc Toy Condiment Set.